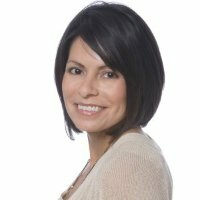 Dorrine Mendoza is a member of the News Partnerships team at Facebook in New York City. In her role she works on the Facebook Journalism Project, working with third-party journalism organizations, non-profit and community news outlets on their strategic platform goals. Formerly she was the Senior Social Media Producer at CNN Digital. Duties included social discovery, creating content for CNN.com and assisting with flagship social accounts. A central function of this position was to increase side-door traffic through social to the digital CNN properties through new platforms, strategy and creative storytelling. Business skills include testing and negotiating with social measurement and discovery platforms, building internal awareness of social opportunities and identifying trends to drive editorial decision-making. In both roles she has the opportunity to meet and collaborate with interesting, passionate and enthusiastic entrepreneurs! Before coming to CNN she was an online content producer at the North County Times, where she did social media and online community management. She has more than 10 years experience in print, broadcast and new media journalism, blending these disciplines to produce engaging and responsive coverage. Awards include an Associated Press Managing Editors award for reporting in 1998, a broadcast Emmy in 2007, and President’s Award for Innovation in in 2010. She led the North County Times initiative to Livestream their first event – the Escondido “bomb house” burning, and was the first North County Times journalist to live blog from a local trial. As a member of the Online News Association she is active in several groups focused on improving digital news delivery including #wjchat and the Facebook group, Social Journalism.